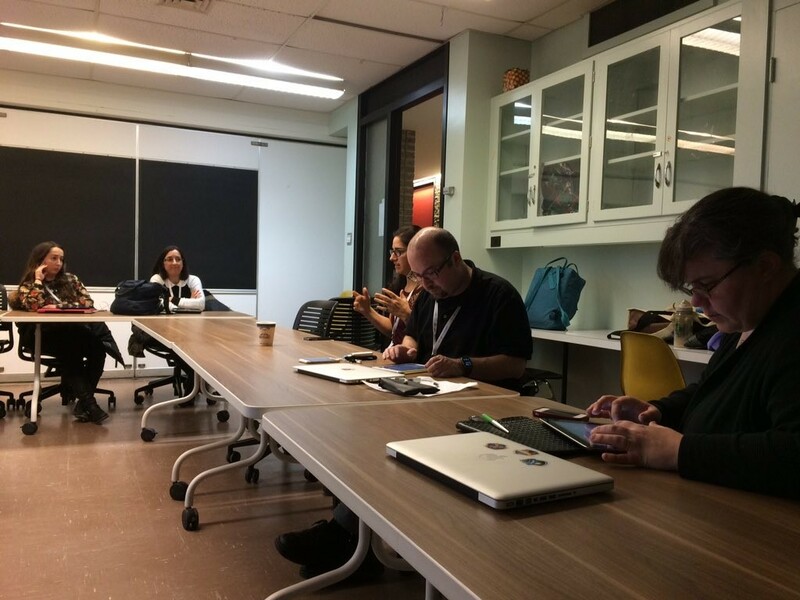 Last weekend, I attended a Montreal area “unconference” named RemixEd Montreal. 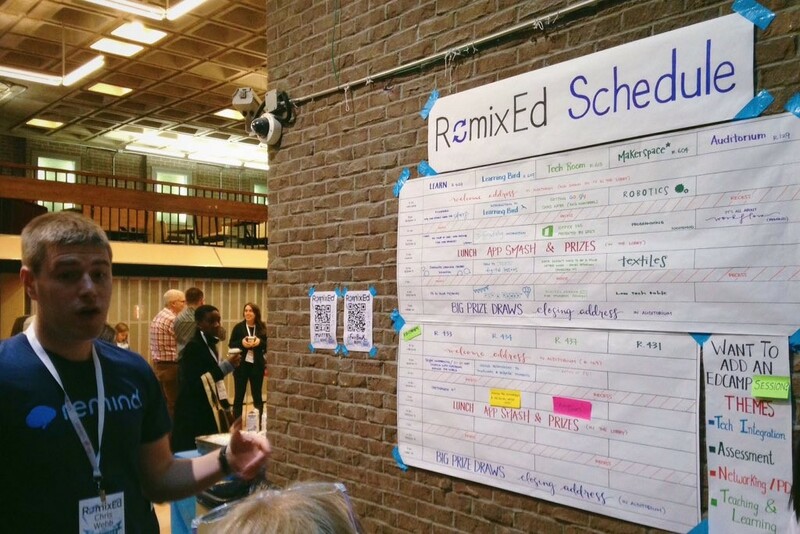 RemixEd was a mix of predetermined PD sessions and participant-driven PD edcamp style sessions that were determined by the attendees on the day of the event. While this might sound rude, the ability to walk out of sessions appeals to me. Sometimes a PD session is mind blowing and sometimes… it is not. It’s not necessarily the materials or the presenter, it may simply not be a good session for MY needs. In these cases, I’d prefer to just get up and go to a more useful session. However, when I’m attending a conference where the law of two feet has not been established, I often don’t leave as I’m afraid the presenter might get offended. So more often than not, I politely stay put. The RemixEd organizers also seamlessly incorporated and encouraged the use of mobile devices in the PD sessions. The organizers established a #RemixedMTL Twitter hashtag so that participants using Twitter were able to build on other attendees ideas and see what was going on in the other sessions. More the once, I jumped out of one session and into another as I saw something being tweeted in another room that was more suited to my needs. Twitter was used to enhance the professional development and not as a tool to tweet irrelevant thoughts, such as what we had for breakfast. In turn, there was a logical and legitimate reason for us to use our phones/tablets during sessions. 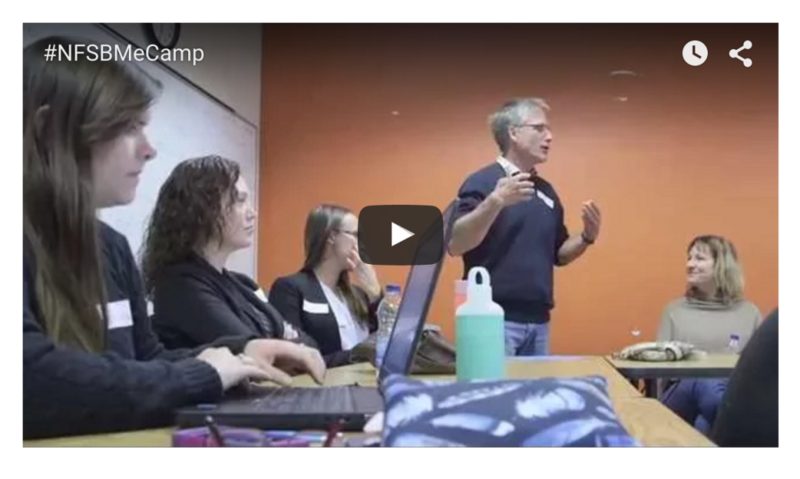 I hosted an edcamp style discussion at RemixED called “Let’s Change the Culture of PD” where the goal of the session was to come up with positive solutions that we could bring back to our schools. The aim was not to focus on problems, nor did we want to create an “us vs. them” dynamic between teachers, admins, and consultants.. we’re all on the same team. For change to happen, we need to change school culture. It’s not about tools or one particular approach. Set expectations: Change takes TIME! Drastic changes won’t happen overnight. We need choice. Choice of PD topics + choice of attending the PD itself + where the PD happens. We need to qualify PD. Not quantify it (i.e. – attendance at the PD day should not be an indicator). Modelling. 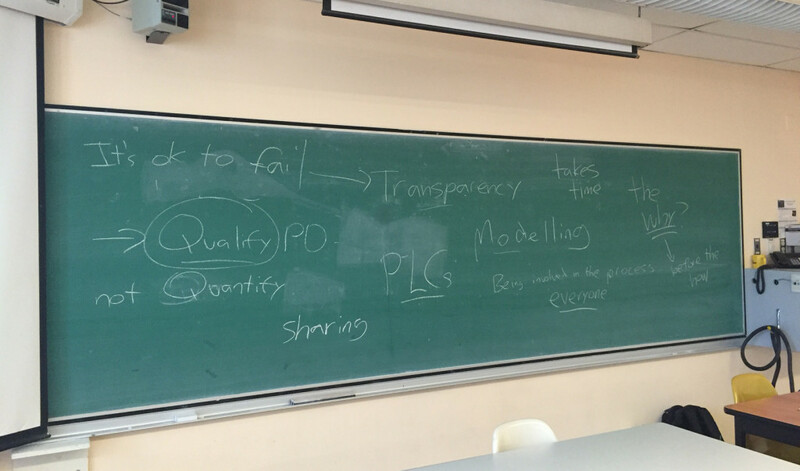 Presenters should aim to “practice what they preach”, both inside and outside of the workshop. Practice the “trickle effect” of positive interactions: Admin level -> Teacher level -> Student level (applies to modelling, tech use, and even how we treat each other). Walk the walk, talk the talk. Everyone should be involved in the PD process (admin, consultants, and teachers). If we teach technology as a separate subject, it will continue to exist in a vacuum. Start with the “why” before the “how” (i.e. – start with the pedagogy, and avoid focus on tech/tools). How do we promote better use of tech in the classroom? Encourage authentic tech use at PD events. (i.e. – presenters share presentations online, set a conference hashtag to encourage sharing, encourage note taking/picture taking on mobile devices). It’s OK to fail. Mistakes will be made (see “trickle effect”). Be transparent: Teachers should be seen as learners, not dispensers of knowledge. Establish same subject working groups: PLCs allow teachers to focus on what’s important to them. PD is also about sharing teacher success stories. If yearly PD goals and “check-ins” are set, can PD from other sources (unconferences, Twitter, PLCs, webinars, etc..) be recognized? .. and finally: You can’t simply tell people what to do. They need to do it themselves to see the value! This entry was posted in Aha Moments! and tagged culture change, edcamp, pd, professional development, remixed, remixed ed, unconference. Bookmark the permalink.